Post by Justine Goldberg of WriteByNight, Austin’s center for writers. 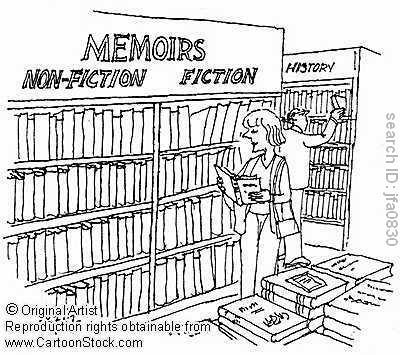 The difference between fiction and nonfiction seems obvious: fiction is fabricated, nonfiction is fact. Pretty straightforward, right? Wrong! The truth is that these seemingly distinct genres have more in common than one might think. Fiction can enjoy nonfictional elements, just as nonfiction can benefit from fictional devices. In fact, such genre-bending often results in more rich, textured and complex works of literature. In fiction, the nonfictional effect is often achieved by basing an imagined story on a real-life event or modeling characters on flesh-and-blood people. Ernest Hemingway’s The Sun Also Rises, for example, draws heavily from Hemingway’s own experiences living abroad as an expatriate in the 1920s. The novel’s main players—narrator Jake Barnes, love interest Lady Brett Ashley, and cohort Robert Cohn—are rumored to be based on Hemingway’s fellow expats. Does the fact that aspects of The Sun Also Rises find their inspiration in real life make it any less a work of fiction? Certainly not. If it looks like a novel and feels like a novel, it’s probably a novel. Does that realistic inspiration lend the novel a sense of authority and believability? Absolutely. When it comes to nonfiction, memoir and personal essay specifically, the terrain is a bit rockier. There are many ways to go about integrating fictional elements into a nonfiction piece. Lying is one of them, but I wouldn’t recommend it. In 2006, James Frey, author of A Million Little Pieces, learned that lesson the hard way when he admitted that his memoir had strayed from the truth. In his own defense, Frey told Larry King that all memoirs alter minor details for literary effect. Well, James, that’s true in the sense that fiction techniques come in handy for crafting successful works of nonfiction, but there are ways to do it without provoking a multi-million-dollar lawsuit. Hook. The hook is the entry into your story, the first few lines of your piece. The hook’s job is to catch a reader’s attention and draw him/her into the story. Syringes? Hormones? Adonis? You encounter this titillating prose and think, “This I gotta read.” Voila! A successful hook. Voice. Voice refers to the articulation of the story, the narrator’s words as heard in the reader’s head, and it’s one of the most difficult techniques to master. A memoir or personal essay will always be told in the first person point of view (“I did this, I did that”) and will always be narrated by the author him/herself. Your voice should be strong, distinct, and should invite your reader into the story with open arms. Fey addresses her reader directly, extends an overt welcome into her life, and establishes early the sense of humor about herself for which she’s best known. Two sentences into the book, I’m already sure that I want to spend another 200+ pages with her. Setting. The setting is where your story takes place. There may be one setting or many. You can’t control where a noteworthy life event happened, but you can control how it appears on the page. It’s no accident that Boswell opens his essay in a desert, a setting which conjures feelings of isolation, deprivation and introspection. He uses the setting to set the tone for the story to follow. Boswell could have easily opened the piece in Houston where he teaches but he didn’t, because the hustle and bustle of city life is wrong for the story that needs to be told. The fiction devices of hook, voice and setting can and often should be employed in nonfiction, not to warp the truth, but to make your prose sing. In short, nonfiction doesn’t have to be boring just because it’s true. There are many other techniques invaluable to the success of a nonfiction work, including but not limited to character, conflict, narrative arc, foreshadowing, symbol/metaphor and theme. On February 21 at 6:30 p.m., WriteByNight instructor Steve Adams is going to tell you all about them in an interactive seminar called Pump Up Your Nonfiction with Fiction Techniques. If you’ve got an idea for a memoir or personal essay, this seminar is for you. Learn more and register at http://www.writebynight.net/writing-center/events/. Justine Tal Goldberg is an award-winning writer and editor of both fiction and nonfiction. Her short stories have appeared in Anomalous Press, Whiskey Island, Fringe Magazine, and other publications. 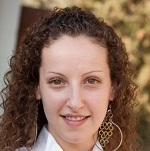 Her journalistic work has appeared in Publishing Perspectives, Austin Monthly and the Texas Observer, among others. She holds an M.F.A. in creative writing from Emerson College. She owns and operates WriteByNight, a writing center and writers’ service dedicated to helping writers of all experience levels achieve their creative potential and literary goals. Previous Post Joe Says READ THESE BOOKS! When the distinction gets messy, I go back to something simple. Both are narrative forms, but fiction involves creating an experience, while personal nonfiction is about sharing an experience. If your writing starts out one way then drifts, well there ya go.